It’s World Card Making day, and we at Et Cetera Papers couldn’t be more excited. What a wonderful excuse to create something. As you may know, we enjoy making handmade cards. 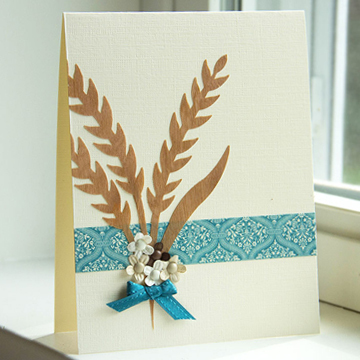 We love how handmade cards add a personal touch and that little bit of heart that a store bought card just doesn’t. 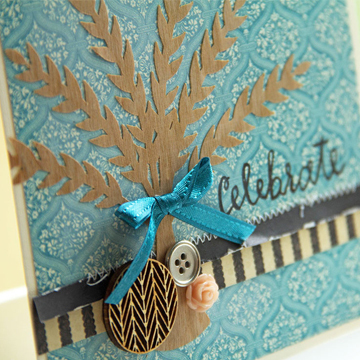 When we share handmade cards with friends and loved ones, we feel special and always make a memorable impression. This year we partnered with Pazzles to create this fun set of cards. Pazzles has an amazing collection of cut files perfect for all sorts of crafty projects, including hand made cards. 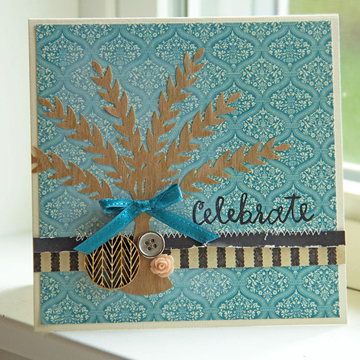 We created the Celebrate Fall and blank note card with the Wheat Stalks image from the Autumn Harvest Cut files. Real Cherry Wood Paper, Autumn Harvest Cut file from Pazzles, electronic cutting machine, stamp set and random embellishments from Studio Calico, patterned paper from Graphic 45, vanilla cardstock, black stamp ink, white stamp ink, sewing machine, thread, ribbon and adhesive. Real Cherry Wood Paper, Autumn Harvest Cut file from Pazzles, electronic cutting machine, stamp set and random embellishments from Close to my Heart, patterned paper from Graphic 45, vanilla cardstock, ribbon and adhesive. We’ve introduced a few new products to our online store, including printable glitter paper. This glitter paper looks great on it’s own and when you print, stamp and color on it. 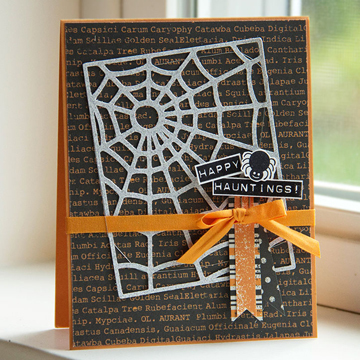 We made this Halloween card using our Silver Glitter paper and the card overlay image from the In a Web Cutting Collection. Silver Glitter paper, In a Web Cutting Collection from Pazzles, stamp set from Close to my Heart, pattern papers from Echo Park, white cardstock, black stamp ink, ribbon and adhesive. Get familiar with our friends at Pazzles. Follow them on Facebook, Pinterest, YouTube and Twitter. This entry was posted in Crafts & Kits, DIY Projects, Stationery & Envelopes and tagged Pazzles, WCMD, world card making day.